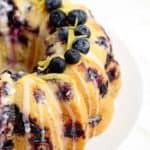 Blueberry Lemon Pound Cake – If you don’t know how perfectly Blueberry and Lemon go together, this Blueberry Lemon Pound Cake Recipe proves it. It’s one of the best blueberry desserts ever! Disclosure: I was compensated by Better Homes and Gardens for this post but all opinions expressed here are my own. I just love the combination of blueberry and lemon. 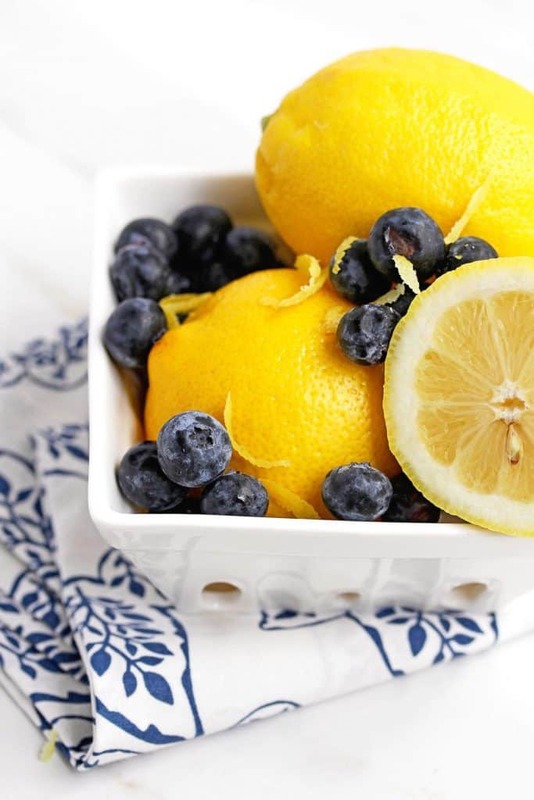 The zesty citrus flavor of the lemons combines nicely with the sweet, but not too sweet flavor of the blueberries. 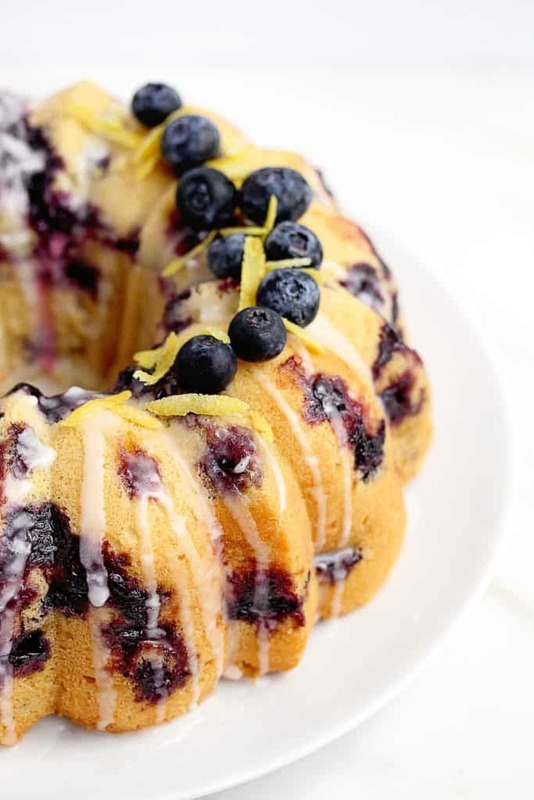 This blueberry lemon combo is the inspiration behind this Blueberry Lemon Pound Cake. I wanted to see the combination of these two fruit flavors in a moist and delicious cake. This recipe is the result! I know you all will love it. This blueberry lemon pound cake recipe is not difficult to make, especially for experienced bakers. The key to it, like with all cake baking, is to be patient when making the cake mix. This recipe calls for some ingredients (sugar, eggs) to be added slowly or one at a time in the case of the eggs. Once the cake mixture is fully mixed and combined with the fresh blueberries and lemon zest and juice, your work is pretty much done. Simply add the cake mixture to a well greased bundt pan and bake the cake at 325 degrees for 1 hour and 15 to 25 minutes. I can’t tell you how happy I am to be sharing this awesome recipe with my audience. This blueberry lemon pound cake recipe started with my love of the blueberry and lemon fruit combination. I also wanted to make a summer cake recipe using bright gorgeous blueberries and the sunny complement of lemon flavor. Not only is this cake seriously so delicious, it was absolutely stunning too! You have to do me a favor and serve this at any event you have this year. 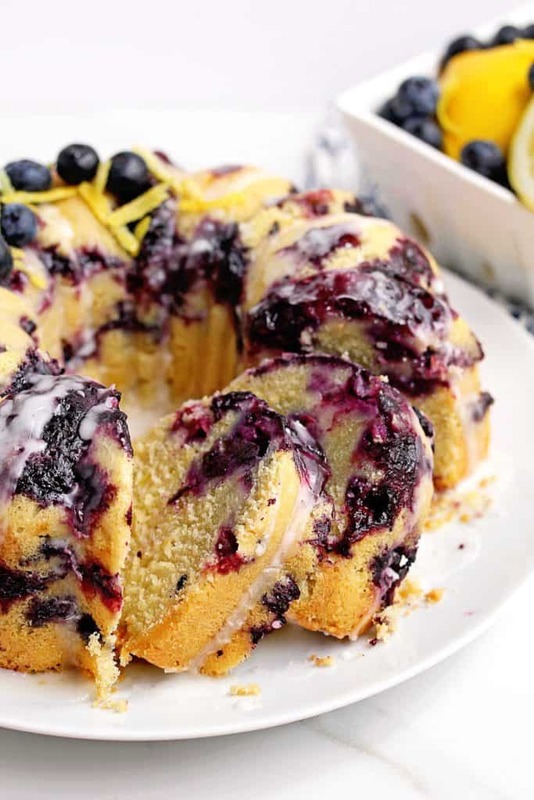 This Blueberry Lemon Pound Cake is a showstopper. If you like this blueberry lemon pound cake, you’ll fall in love with some of my other blueberry desserts. Blueberry Lemon Pound Cake - If you don’t know how perfectly Blueberry and Lemon go together, this Blueberry Lemon Pound Cake Recipe proves it. It's one of the best blueberry desserts ever! Preheat oven to 325 degrees F. Grease and lightly flour a 12 inch bundt pan; set aside. In a medium bowl stir together flour, baking powder, and baking soda; set aside. In a large bowl beat butter with an electric mixer on medium to high speed for 30 seconds. Gradually add sugar, beating on medium speed about 10 minutes or until light and fluffy. Add vanilla. Add eggs, one at a time, beating on low to medium speed for 1 minute after each addition and scraping side of bowl frequently. Alternately add flour mixture and sour cream to butter mixture, beating on low speed after each addition just until combined. Fold in berries, zest and juice until combined. Pour batter into prepared pan, spreading evenly. Bake for 1 hour and 15-25 minutes or until a toothpick inserted near center of cake comes out clean. Cool in pan on a wire rack for 10 minutes. Remove from pan; cool completely on rack. Stir together confectioner's sugar and lemon juice until combined and drizzle over top of cooled cake then serve. You can replace the blueberries with any other type of berry (strawberry, blackberry, etc.). I love your recipes and your book. My question is whether you think I can substitute cake flour in this pound cake recipe? If so, how? Also curious as to why you select all-purpose flour vs cake flour when creating a recipe. I look forward to making this for my son’s birthday this week! Hi Jamie, yes you can but it will make the cake a little less stable with this recipe. Usually you can do cup for cup swap. I make this cake often & my family LOVES it , but I have to admit I have an issue. I follow the directions EXACTLY , however when it says add the flour mixture & sour cream alternately to the butter mixture I find that it’s still dry /flour at the bottom of my bowl & when I add the lemon juice it says to gold not mix a lot so I’m curious as to what I’m doing wrong to have so much dry mix at the bottom of bowl ? Are you making sure to scrape the bottom of the bowl and making sure everything is incorporated before adding additional ingredients? Good Morning Jocelyn, I’m back with Another question….I’ve fallen in LOVE with your other plain Lemon Cake Recipe….omg . It’s UNBELIEVABLE ! I’ve nevr baked with cake flour & boy can I tell the difference. The lemon pound cake is SO light & moist. Okay , my question is your blueberry lemon cake is so light & the lemon pound is a bit browner. Did you use the same Nordic Ware pan on both ? I want my cakes to be light like yours…..should I use the platinum collection Nordic Ware pan on all my cakes ? Do you alternate brands ? I never keep sour cream in my house… just don’t like the taste of it any way used, so what can I use instead? Okay, I also don’t keep vanilla yogurt… only keep black cherry, and that’s a once in awhile thing. I want to use this recipe, but exchange the blueberries for cranberries, and the lemon juice for orange zest. Stupid question, but could I use Cool Whip instead of the sour cream? Go ahead and laugh, cause I am LOL Want to make this as a cranberry orange pound cake, so please answer ASAP. PS. do I have to keep coming back to this section to see if any one replies back? I am not sure how the comment section works when one posts a question. Do I get an email alert that someone replied back? I won’t laugh but you definitely do not want to use cool whip instead of the sour cream in this recipe. You can use plain noon fat Greek yogurt instead of sure cream. It has zero fat, and no sugar, and makes a great low calorie alternative for sour cream. You can but shout cream in a n 8 oz size, you don’t need to buy a lot. And the yogurt, just buy 2 little containers. Any left over, put black cherry jam in and you have black cherry yogurt. Definitely DO NOT replace sour cream with Cool whip. Hooray this makes me so happy! Thanks for the sweet note Marilee! Hi Jocelyn. I’m making this tomorrow and am curious about the pan size. Is this recipe strictly for a bunny pan? Thank you. Can’t wait to make it. I can only say W-O-W! This is one of THE BEST blueberry-lemon cake recipes I’ve ever made. It’s “pick your own” blueberry season here in Vermont right now, so I try new recipes every new season. This one’s a keeper for sure. So grateful I found you & this. Sure thing Mary! 12 cup. I’ve made your lemon pound cake a few times (folks love it!) and the recipe there calls for cake flour. I wanted to make this cake and I see that it calls for all-purpose flour. Is there a difference in the two and can I use cake flour for this recipe as well? I’m so glad you love my lemon cake!!! This recipe is derived from Better Homes and Gardens and they called for the all purpose flour. Yes there is definitely a difference between the two and they aren’t interchangeable I’m afraid. 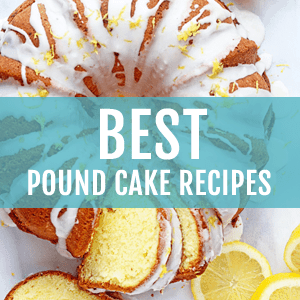 Hi Mel, there is definitely lemon flavor however if you are looking for a recipe with more lemon flavor, check out my Ultimate Lemon Pound Cake. It will give you all the lemon you are looking for. 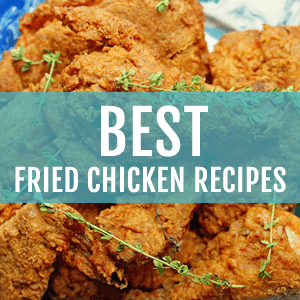 You can find the recipe right here on the website. I am making this cake right now for my tennis match tomorrow and wondered if you have an actual measurement for the lemon juice for the cake instead of ‘the juice of two lemons.’. Lemons come in various sizes and the differences in the quantity of juice could be significant as far as taste and texture. Thanks! I look forward to hearing from you soon! Yes it should be the size of about 2 medium sized lemons for this cake. Thank you! Cant wait to try this. I just want to say you are too cute, I love your style. Made this beautiful cake today, it’s amazing!!!!! The batter was just extraordinary, I was a bit nervous that it would bake right out of its pan, but, thankfully it didn’t!!! Thank you for such a great recipe!!! Wonderful! I’m so so glad! I have made this cake several times and everyone that has tried it loves it. My question is, there is a great variation in lemon size. Have you ever measured how much lemon juice you actually put in the cake portion. I’m so glad everyone loves the cake. I actually haven’t measured it. Next time I will measure it and put a measurement up for you. Hi! I would love to try this! I have fresh blueberries (about 4 lbs) that I have frozen. Can I use them frozen or do I have to thaw them? If I can use them frozen do I need to add any time to the cook time? Thanks! You can definitely use frozen ones but I would thaw them a bit before. This cake looks amazing!!! Only one question, how many cups have your bundt pan???? You want to use a 12 ” bundt pan if you can. I’m from India. We don’t get fresh blueberries here.Can I use the dried ones, if yes how much? Hi there, do you get any other berries that are fresh? You could try to substitute with other fresh berries. I love blueberries and lemon. I love sour cream pound cake. I would love to make this cake, but there is no recipe for it anywhere! Yes I can get the BHG recipe for the original cake, but your additions and changes don’t tell me how long to cook it, or how much you added or any directions for how and when things should be added. I see this with other ‘recipes’ that you offer here and at BHG and I think that you should at least give us exact quantities and directions that we can insert in the recipe if you don’t have the time to rewrite them. I’ve always loved the lemon and blueberries combo. This pound cake is simply gorgeous! I love baking with blueberris and lemon! Can’t get enough of them this time of year too! Gorgeous cake Jocelyn! My dear friend!! I can’t wait to make this! My mom is coming to visit soon and I’m going to make this for her! I’m making one of your other recipes for a 4th of July treat! I shared your blog with some of my mom’s group friends! I know they’ll love it too! Awww thank you so much Deneen! You are such a sweetheart! Yes you will definitely love how simple this BHG twist recipe is! And thank you as always for sharing my blog with you friends and family. It really means the world to me! I have been trying to find your recipe for the Blueberry Lemon Pound Cake but it is never listed. Why do you provide other recipes and not this one? Doesn’t make sense you keep showing, listing it but no recipe. That’s not cool, sister. I heard that! I am the same way. A slice in front of me is all I need! The most beautiful pound cake I’ve ever seen. Love it Jocelyn! Thank you so much Chloe!! Thanks so much Helen!! I am so excited to be sharing regular recipes with them! Woo hoo!!! What an absolutely gorgeous cake! I ove love love blueberry and lemon together! Thanks so much Jocelyn! Same here, I love that combo! Thanks so much Denise! I seriously packed the blueberries in there! Thank you so much Medha! So grateful for your sweet comments! Gorgeous as always! Heading over to check out the recipe now! Hooray thank you so much Ashley! Thank you so much LeeLee!! 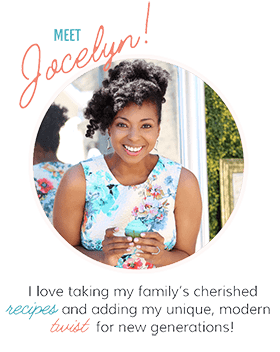 Oh my goodness, Jocelyn! This cake is just breathtaking!! What I wouldn’t give for a piece right now 🙂 Pinned! Hooray thank you so much Ashton! Way to go girl!! So proud of you for having posted on BHG!! This cake is my perfect summer dessert!! Wow thank you sooo much Ami! This just warmed my heart! Congrats!!! and this cake looks fabulous! I want to dive right in! big hug girl! Hooray thank you so much my friend! Jocelyn, my mouth dropped open when I saw this photo on social media this morning. Your pound cake is beyond gorgeous. And nothing beats the combo of blueberry and lemon in the summer. Heading over to check out the post! OMG thank you so much Nancy! Seriously you just made me smile so wide! So pretty! I love the combination of flavors of blueberry and lemon. What a gorgeous cake! Love all of the blueberries! Hooray thank you so much Jessica! I love the blueberries too! This is one gorgeous cake!! Heading over now to welcome you there! Congrats on being regular on BHG!! Hooray thank you so much my dear for always being so supportive of all I do! I am in your corner too! I love this! Blueberries + lemon is a total summer essential! I totally agree Kelli! It is my favorite flavor combo this summer indeed!